Did you know that Whittington School Nursery now provides all day childcare for 3-4 year olds in a school environment during term time? 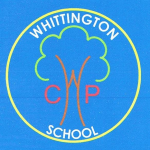 Whittington School Nursery is a warm and welcoming Governor Managed setting to which places are allocated through school as the admissions authority. We have places available every weekday morning and afternoon and can provide freshly-made hot lunches should you wish your child to stay all day. Each 3h session provides opportunity for lots of talk and play, with a focus on gaining confidence, developing independence, building relationships, supporting social and emotional development as well as developing early literacy and maths skills. For more information, please do not hesitate to contact the school office or keep an eye on our website for upcoming open events! What will your child discover at Whittington School Nursery? Parents may use their 15 or 30 hour Early Education Funding or pay privately.